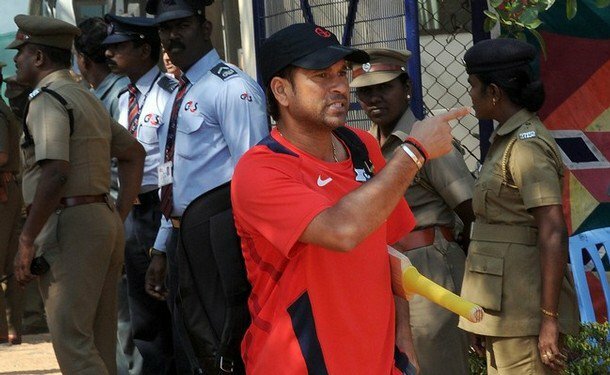 The Most emotional and Greatest farewell speech by Sachin Ramesh Tendulkar A.K.A The GOD :) | PeriyaStar's scribblings. “Friends please settle down, I’ll get more emotional! It’s hard to believe my wonderful journey is coming to an end. I’ve a list of names to thank. The first is my father, who passed away in 1999. Without his guidance I wouldn’t be standing in front of you. He said , “ chase your dreams, don’t give up, the path will be difficult.” I miss him today. My mom, I don’t know how she managed a naughty child like me. She just prayed and prayed from the day I started playing the game. Actually even before he was naughty as little Krishna , u folks knw. And we know u broke ur hand , that’s the reason why ajit took you to Achrekar ). “ For four years I stayed with my uncle and aunt when in school, they treated me like their own son. My eldest brother Nitin doesn’t like to talk, much but he said, whatever you do, I know you will give 100%. My first cricket bat was presented to me by my sister Savita. (Yeah, I have read that in his biography, *sobbing*) She still continues to fast while I bat. Ajit my brother – We have lived this dream together, he sacrificed his career for me, he took me to Achrekar sir first. Even last night he called me to discuss my dismissal. Even when I’m not playing we will still be discussing technique. If that hadn’t happened, I would have been a lesser cricketer. “The most beautiful thing happened to me when I met Anjali in 1990. I know that being a doctor there was a big career in front of her. But she decides that I should continue playing and she took care of the children. ( *But master I still I remember u put a fake mustache to meet her during a tour* ) Thanks for bearing with me for all the nonsense I’ve said (Anjali wipes tears). Then the two precious diamonds of my life Sara and Arjun. I’ve missed out on several birthdays, holidays. I know for 14-16 years I’ve not spent enough time with you. But I promise you I will spend the next 16. “My career started when I was 11. I was extremely delighted to see Achrekar sir in the stands. I used to ride on his scooter and play two matches a day. Sir took me along to make sure I played. On a lighter note, Sir never said ‘well played’ because he didn’t want me to be complacent. You can push your luck now, Sir, since I’m not playing cricker anymore. “I started my career here in Mumbai. I remember landing from NZ at 4am and playing a Ranji game the next day. The BCCI was fantastic from my debut. Thanks to the selectors. You were right with me making sure my treatment was taken care of. “Thanks to all the senior cricketers who have played with me. We see on the screen Rahul, VVS, Sourav, Anil who is not here. All the coaches. I know when MS presented the 200th Test cap, I had a message to the team – I said we are all so proud to be representing the nation. I hope to continue to serve the nation with dignity. I have full faith that you will serve the country in the right spirit. “I know my speech has become long. I want to thank people who have flown in from different parts of the world. I want to thank my fans from the bottom of my heart. “Sachin, Sachin” will reverberate in my years till I stop breathing.” (Followed by loud cheers). That’s the long speech , and one of the best speech in recent time I have heard. We love you man. Always, this Sachin Ramesh Tendulkar , will be remembered by whole cricketing world for years to come. The Cricketing Hero and God of mine , ever . Respect. P.S: Still i remember the joy in me when taking the pics, Bliss.